Plantar Fasciitis is a very common problem. Anyone can develop it, however, it is most common in middle-aged patients, runners, and athletes. It starts as a dull intermittent pain in the heel, which may progress to a sharp persistent pain. Classically, it is worse in the morning with the first few steps or after sitting, standing or walking, and at the beginning of sporting activities. Hallmark signs and symptoms of plantar fasciitis include: (1) sharp pain on the inside of the heel, (2) pain after periods of sitting then standing, (3) morning pain, and (4) a sensation of a nodule or pulling underneath the heel. The plantar fascia is a broad band of fibrous tissue on the bottom of the foot. It starts at the base of the heel bone (calcaneus) and stretches to the base of the toes. Its primary function is to support the arch. 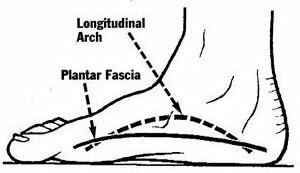 The plantar fascia acts like a shock absorbing bowstring, supporting the arch and the foot. Problems can occur when part of the plantar fascia is repeatedly placed under tension. If the tension on the plantar fascia becomes to great, small tears in the plantar fascia can occur which leads to inflammation and pain. Eventually, a heel spur can form. Pronation is the rolling inward of the foot during the gait cycle. Excessive pronation decreases the stability of the foot bones and increases the tension on the plantar fascia. Regardless of the mechanism of injury, the result is that the strained fascia becomes inflamed and persistent pain follows. 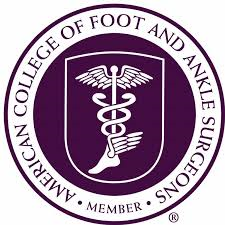 Your podiatrist will exam your feet and determine the appropriate treatment plan for your condition.